You've found the smartest way to book vacation packages from Edmonton to La Romana. Click a price below to see our unique vacation grid. It's very fast and has a calendar format for easy comparison. 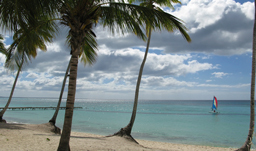 Our agents have been to La Romana - call us and we'll help you decide which hotel is right for you.